Flexible barrier laminated multilayer film is a main component of packaging for grounded and bean coffee. Qualitative film with high oxygen barrier, selected according to the finished product characteristics and requirements, is responsible for preservation of aroma and taste of roasted coffer as well as bean coffee. Modern packaging machines for bean and grounded coffee proceeds packaging process making bags of preset shape of volume from the films in rolls. 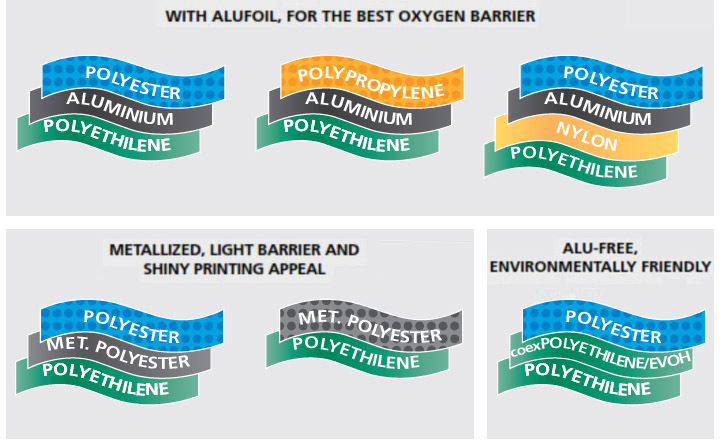 We offer for shipment a wide range of flexible laminated films with perfect barrier qualities, printing and the most up-to-dated external covers that create, authentic attractiveness of the product. 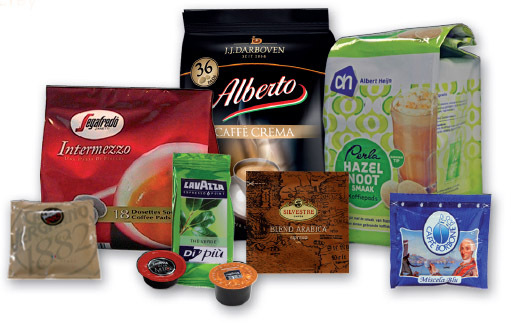 Flexible laminated film for bags to pack grounded and bean coffee is produced by Goglio Spa company – leader in flexible packaging systems with Headquarters in Italy. The film is supplied in rolls for using it at the modern packaging machines that start packaging process from forming the shape of bags from the film and welding the degasing valve in it.